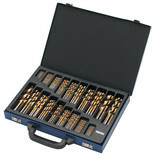 A 30 piece metric metal drilling bit set surfaced with titanium which improves penetration and increases wear resistance by up to 6 times. 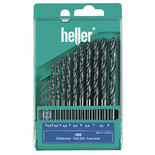 A 25 piece Heller HSS drill bits with a reinforced core, to reduce breakage. 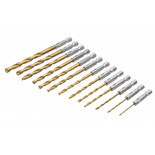 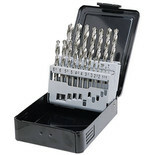 A 19 piece Heller HSS drill bits with a reinforced core, to reduce breakage. 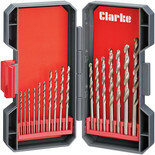 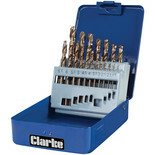 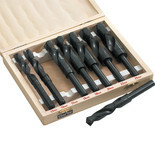 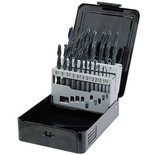 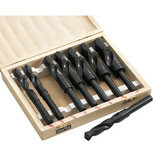 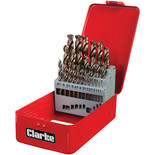 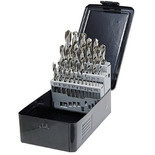 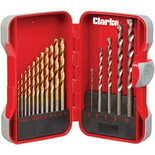 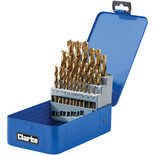 A set of 13 precision engineered Heller HSS drill bits, in a handy storage case. 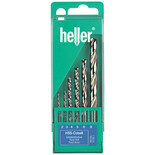 Heller quality at a budget price. 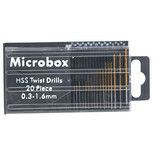 19 rolled HSS drill bits, supplied in a useful case.